Framed Pastel: James Nelthorpe by Jean-Etienne Liotard (1702-1789). 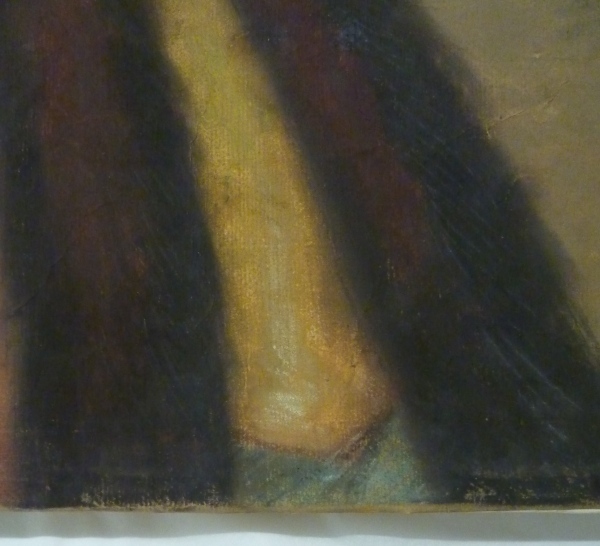 Pastel on paper, 1738, in a William Kent frame. James Nelthorpe, a Leeds landowner, was in Rome on his Grand Tour when he met the extraordinary Swiss artist Liotard. 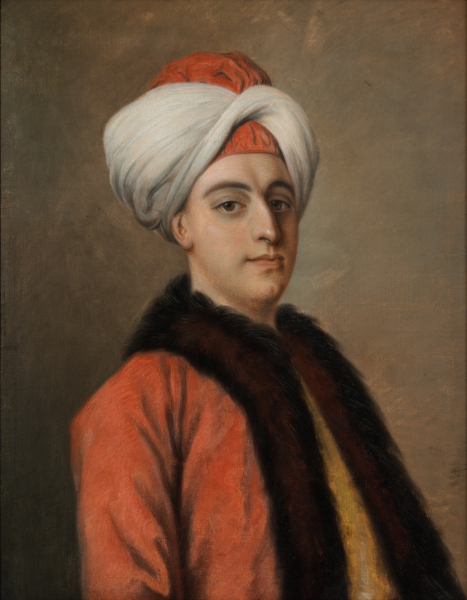 He was one of the British gentlemen who travelled with Liotard to Constantinople, where the artist produced fascinating records of Ottoman life. 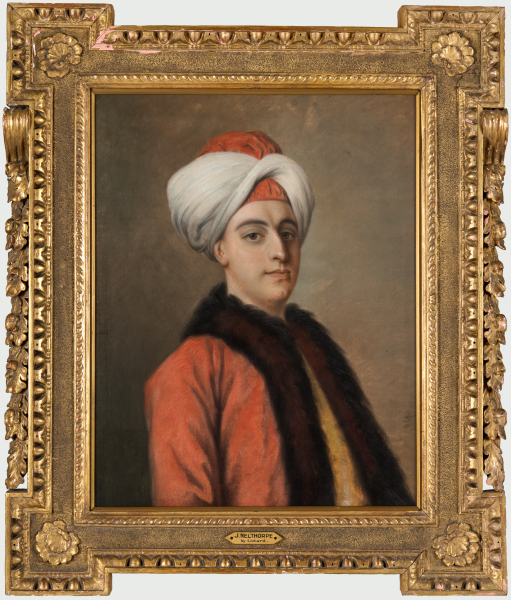 This striking image of the young Yorkshireman with his red fur-lined kaftan and turban is one of the first pastel portraits made by the artist whilst in Constantinople. Although the composition appears simple at first, with its broad blocks of colour, Liotard has taken pains to record every strand of fur in sooty black and sharp white.